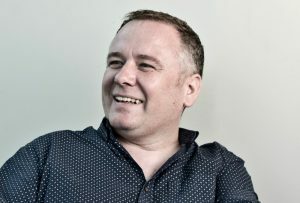 Creative communication agency, The Foundry Healthcare, has appointed Gerry Montgomery as head of healthcare. Montgomery has over 20 years’ agency experience managing high profile projects and events for the likes of MediTech Media and Ashfield Meetings & Events. Working alongside The Foundry’s managing director, Mark Bottomley, Montgomery will be responsible for leading the healthcare team, developing the overall business strategy and playing a major role in the continued growth of the agency. Bottomley said: "Since we launched The Foundry Healthcare in 2013 we have acquired a fantastic reputation for creating outstanding brand experiences. Gerry’s strong leadership and industry experience will help us build on these accomplishments and drive us forward to the next level." Montgomery added: “From my very first meeting with Mark and the team, I knew this would be the perfect move; their creativity and passion were very clear to me. I’m excited to be joining The Foundry Healthcare at such a pivotal time and to contributing to its continued growth." The Foundry Healthcare is a sister agency of Foundry Communications and works with clients including Premier Veterinary Group.